For the most part, media-justice advocacy groups present a unified front in support of net neutrality, the concept — which many would like to see enshrined in federal regulation — that says telecom companies shouldn&apos;t be able to discriminate against users, content, or applications on the Internet. The telcos shouldn&apos;t be able to block controversial stories, or degrade traffic to websites that can&apos;t afford to pay more, or dictate the nature of online public debate. 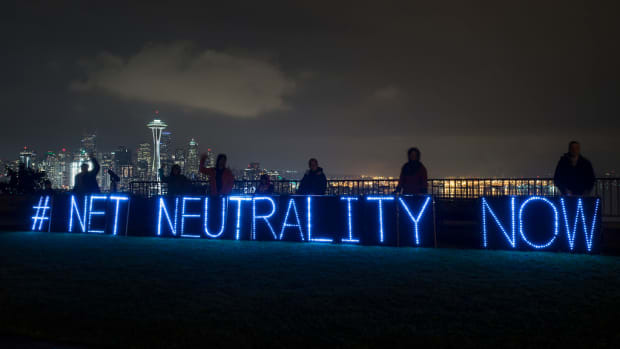 Net neutrality, its supporters argue, is nothing less than the civil rights issue of the 21st century. In an awkward development, however, some historic civil rights groups have come out on the other side of the debate in Washington. Several NAACP branches opposed net neutrality in public comments sent to the FCC, arguing that regulation would stifle jobs and investment in minority communities. The national organization later had to clarify that it takes no official stance either way. 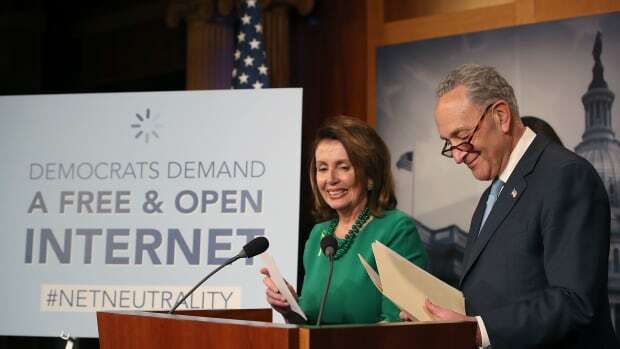 Others that have publicly questioned net neutrality include the National Council of La Raza, the League of United Latin American Citizens and some members of the Congressional Black Caucus. In a common theme, they&apos;ve argued that Internet advocates should focus on expanding broadband, not regulating it, implying that the two goals are mutually exclusive. Sascha Meinrath, who heads the Open Technology Initiative at the New America Foundation, suggests something else at play here. On Friday, he provocatively called it "the racial-industrial complex that&apos;s developing here in D.C.," and he added that it "leaves me feeling incredibly worried about the future of a lot of these issues." Many civil rights groups have long-running relationships with corporate sponsors. There&apos;s nothing necessarily menacing about that. But, Meinrath said, these same groups have become increasingly active in Washington in endorsing the interests of companies like Comcast and AT&T that support them. "In return for millions of dollars in funding, they&apos;re expected to support the positions of these telcos," Meinrath said. "This explicit quid pro quo has, I believe, undermined a lot of the independence of many — too many — civil rights groups in this area of telecommunications policy." As an example, he pointed to one embarrassing incident for Comcast earlier this spring. A Seattle nonprofit called Reel Grrls tweeted its disapproval after FCC commissioner Meredith Attwell Baker announced that she was leaving the agency to work for Comcast. The company&apos;s vice president for communications then emailed the group threatening to pull its funding: "Given the fact that Comcast has been a major supporter of Reel Grrls for several years now," the official wrote, "I am frankly shocked that your organization is slamming us on Twitter." Comcast later apologized (although it&apos;s worth asking whether we should really expect for-profit companies to invest in such partnerships for purely altruistic reasons). Another incident over the summer further exposed the politics at risk in corporate-nonprofit partnerships. The president of the Gay & Lesbian Alliance Against Defamation was forced to resign after the revelation that the group had lent its (surprising) support to the merger of T-Mobile and AT&T, one of GLAAD&apos;s donors. To media-justice groups, the trend is troubling not just because it distorts the conversation in Washington, but also because it puts civil rights groups at odds with their own communities&apos; interests. To counter this, Meinrath and the New American Foundation on Friday hosted the rollout of a new group called Black Voices for Internet Freedom. Leaders of several affiliated organizations on Friday described how their groups had been heavily lobbied to support the AT&T merger. And it says something startling about the power of a civil rights imprimatur in Washington if large corporations would court groups as small as the Partnership of African American Churches in West Virginia. Such groups aren&apos;t often armed to dissect — let alone counter — the pie charts and projections that large corporations can produce to argue that, say, net neutrality will cost jobs, while a corporate merger will produce them. But Black Voices for Internet Freedom suggests they may be able to make a counter-argument that&apos;s more about civil rights than statistics. Would grassroots activists be able to organize an immigration rally, or an execution protest without an "open Internet"? Would minority students be able to fill out FAFSA applications without open access to the net? "This is not a question for us that&apos;s about bits, bites, throttle, or torrents," said Amalia Deloney, with the Center for Media Justice http://centerformediajustice.org/. "This is about access to quality education, it&apos;s about fair housing, quality housing, it&apos;s about full employment, about keeping and growing jobs in our communities." And if it&apos;s about civil rights, why wouldn&apos;t civil rights organizations be on board?